If you are hungry or simply in need of a little human fellowship, here is a list of the free food ministry offerings in our area. 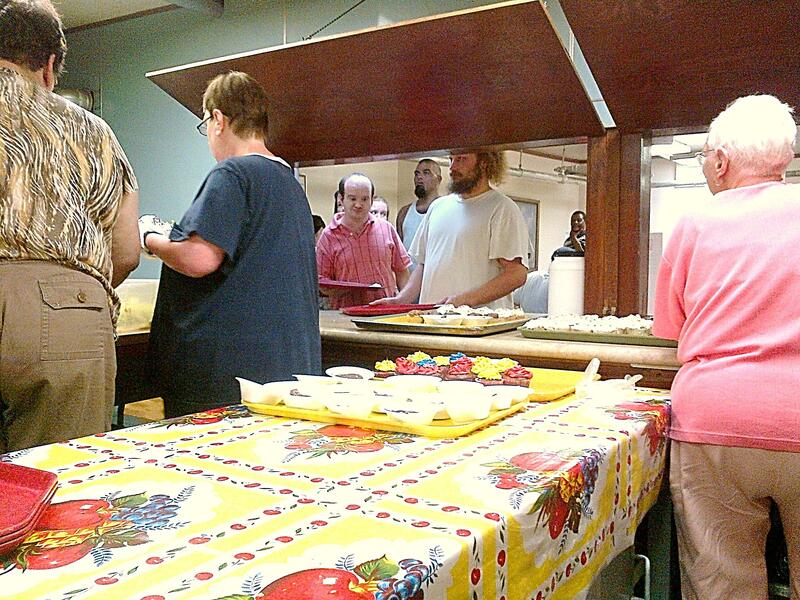 Central Church provides a lunch every Tuesday, a dinner every Friday, and a breakfast on the first Saturday of each month, all without cost and open to anyone who comes through our doors. Other food ministries in Beaver Falls appear in below in dark red, and those in surrounding communities appear in black. 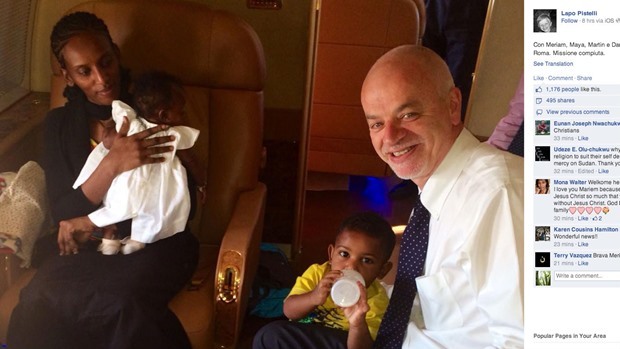 Italy’s Vice Minister at Foreign Affairs travels from Sudan with Ibrahim and her family. Christianity Today reports this afternoon that Christian mother once sentenced to death for her faith now bound for United States with her family. After blocking her departure on a spurious charge of forged travel documents, Sudan today allowed a Christian mother sentenced to die over a false allegation of leaving Islam to leave the country, her attorney said. Having given birth to her second child while shackled to prison chains just two months ago, Meriam Yahia Ibrahim arrived in Italy today and met with Pope Francis after U.S. and Italian efforts to free her. his mother since her imprisonment without trial in February. Muslims claiming to be relatives had accused her of leaving Islam. Ibrahim says that she was raised a Christian by her Ethiopian Orthodox mother, and that her Muslim father disappeared when she was 6 years old. She was released from prison in Sudan on June 23, less than two months after Morning Star News broke the story of false charges of apostasy against her that set off a firestorm of international protests, only to be detained at the Khartoum airport less than 24 hours later. More than 40 agents from the National Intelligence and Security Services (NISS) arrested her, and Ibrahim was charged with “forging” travel documents, punishable by nearly seven years in prison. A man who claimed to be Ibrahim’s brother told local media that he would kill her and take revenge on other Christians in Sudan. “She has spoiled our image as a family, and we know how to take revenge against Christians,” he reportedly said. Ibrahim had received a sentence of death by hanging for allegedly leaving Islam after a Muslim claiming to be a relative accused her of marrying a Christian man – the crime of “adultery” under Islamic law for which she was also sentenced to 100 lashes. Sudan revoked the death sentence on June 23 after defense lawyers presented their case. Witnesses for the defense had been prohibited from testifying during the trial. Islamists clamored for her death throughout the trial, and her attorneys have received death threats. International media, Western embassies and human rights groups urged her release when Ibrahim’s death sentence was confirmed after she refused to recant her faith on May 15. After being held for two days following her arrest at the airport, Ibrahim was released on June 26, and she and her family had taken refuge at the U.S. embassy in Khartoum. Update (July 22): Christianity Today reports that Ibrahim’s family has filed another lawsuit against her, this time attempting to annul her marriage. Reuters reports the lawsuit is yet another attempt to keep Ibrahim from leaving Sudan. If the lawsuit is successful, Wani would no longer be considered the father of his two children, according to World Watch Monitor. Sudanese officials have assured the U.S. State Department that Ibrahim and her family are safe, and World Watch Monitor reports that she and her children are approved to enter the U.S. when they leave Sudan. Update (July 17): Meriam Ibrahim could now be free to leave Sudan after her family dropped the lawsuit they filed against her to prove she was the daughter of a Muslim, reports Reuters. Abdel Rahman Malek, the family’s lawyer, did not give a reason for dropping the case a day before its first scheduled court hearing. Ibrahim has been staying at the U.S. Embassy, along with her family. 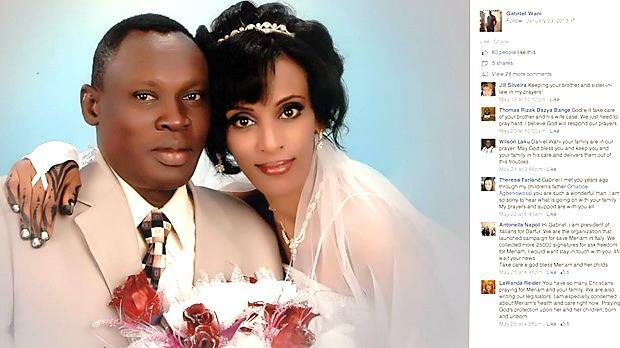 Update (July 10): Following a grueling week of release and rearrest, Meriam Ibrahim is safe at the U.S. Embassy in Khartoum but is still stuck in Sudan. Ibrahim may face new charges to prove she’s part of a Muslim family, according to Reuters and Businessweek. Meanwhile, CNN reports that a community with ties to South Sudan waits to welcome Ibrahim and her family to Manchester, New Hampshire, her husband’s U.S. home, when she reaches the country. 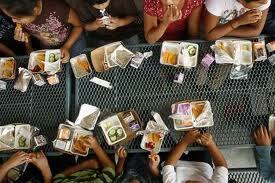 Millions of low-income students rely on free or low-cost school meals. But when summer vacation starts, the school meals end. This means youth who had access to nutritious meals during the school year may be undernourished or hungry over the summer. The good news is: Healthy lunches are available for children, ages 18 and younger, regardless of income. No registration needed; no paperwork required. Various sites offer lunches on various weekdays through mid-August. The federally funded Summer Food Service Program is coordinated through the Greater Pittsburgh Area Food Bank. Participating local organizations include the Beaver County YMCA, the Salvation Army in Beaver Falls; the United Way of Beaver County and the Aliquippa School District. For additional information and sites, call 412-460-3663. * Colonial Oaks, 49 Colonial Oaks Circle; 11:30 a.m. to 12:30 p.m. Mondays through Fridays through Aug. 15. * Eastvale United Presbyterian Church, 502 Second Ave.; 11:30 a.m. to 12:30 p.m. Mondays through Fridays through Aug. 15. * Harmony Dwellings, Ninth Street and 10th Avenue; 11:30 a.m. to 12:30 p.m. Mondays through Fridays through Aug. 15. 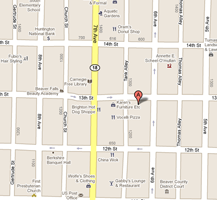 * Morado Dwellings, Fourth Ave. and 43rd Street; 11:30 a.m. to 12:30 p.m. Mondays through Fridays through Aug. 15. * Mount Washington Homes, 2103 12th Ave.;11:30 a.m. to 12:30 p.m. Mondays through Fridays through Aug. 15. * Pleasantview Homes, 16th Avenue and 16th Street; 11:30 a.m. to 12:30 p.m. Mondays through Fridays through Aug. 15. * Salvation Army, 414 16th St.;11:30 a.m. to 12:30 p.m. Mondays through Fridays through Aug. 15. * Trails Ministries, 918 Seventh Ave.; 11:30 a.m. to 12:30 p.m. Mondays through Fridays through Aug. 15. * Temple Church of God in Christ, 2420 Ninth Ave.; 11:30 a.m. to 12:30 p.m. Mondays through Fridays through Aug. 15. * 37th Street Playground, 37th Street; 10 a.m. to 2 p.m. Mondays through Fridays through July 25. At least 30 people were killed last weekend after gunmen attacked worshippers and torched at least three churches in villages near Chibok in northern Nigeria, The Wall Street Journal and The Guardian reported. Local residents blamed the terrorist organization Boko Haram, known for its attacks in the region, though the group didn’t claim responsibility. More than 200 Nigerian girls kidnapped by Boko Haram are still missing. 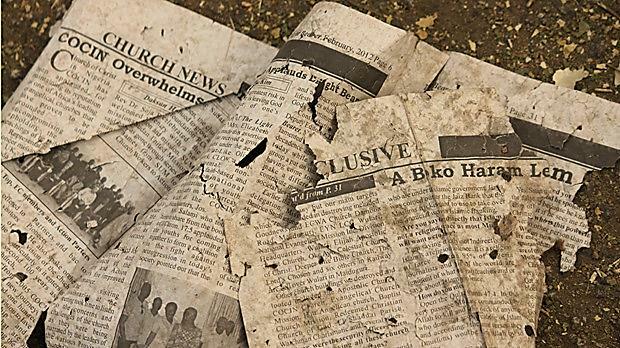 The attackers destroyed Protestant Church of Christ in Nigeria, the Pentecostal Deeper Life Bible Church, and Ekklesiyar Yan’uwa (Church of the Brethren), among others, according to the Associated Press. In at least one case, the gunmen locked worshippers inside a church and opened fire on it. The BBC reported that six militants and nearly 40 civilians died in the attacks. Boko Haram, which the U.S. State Department labeled a terrorist organization last fall, has claimed responsibility for almost daily attacks in the northeastern region of Nigeria. The AP reported the group killed more than 2,000 people this year alone and is responsible for 3,600 deaths in the last four years. The group’s mission is to create an Islamic state ruled by Shari’ah law. Nine people died on June 1 after Boko Haram gunned them down during a morning church service in Gwoza, a village two hours from Chibok, according to Christian Solidarity Worldwide. Reuters reported that more than 10 gunmen rode motorcycles into the remote village in the nearby hills. After they left, villagers killed four of the attackers and captured three. Boko Haram isn’t the only group terrorizing Christians in Nigeria. A Nigerian news source reported that more than 100 people were killed by unknown gunmen thought to be a group of renegade Fulani herdsmen in Kaduna State. CT has monitored the terrorist activities of Boko Haram since 2010, when the group attacked churches over Christmas and killed six people. Since then, the group became one of the five most lethal terrorist groups in the world, responsible for the deaths of more than 3,000 people. Although Boko Haram repeatedly targeted Christians in church attacks, bombings, and school shootings, CT also reported that Boko Haram also murdered scores of Muslims. Some Nigerian Christian leaders urged Christians to “turn the other cheek” in response to Boko Haram, even as the group made a concerted effort to convert Christians to Islam, or else they would “not know peace again.” CT also explored how Boko Haram may have influenced the tactics of other terrorist groups, including al-Shabaab in East Africa. The International Criminal Court has investigated Boko Haram for its “crimes against humanity,” while Christians also debated amnesty for the group. Please remember our brothers and sisters in Christ in Nigeria in your prayers.